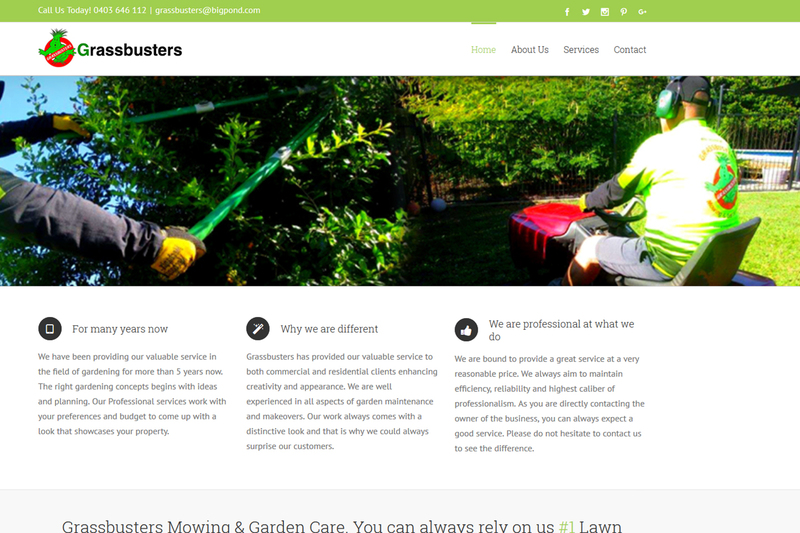 This is a lawn removal company in Brisbane, Australia. 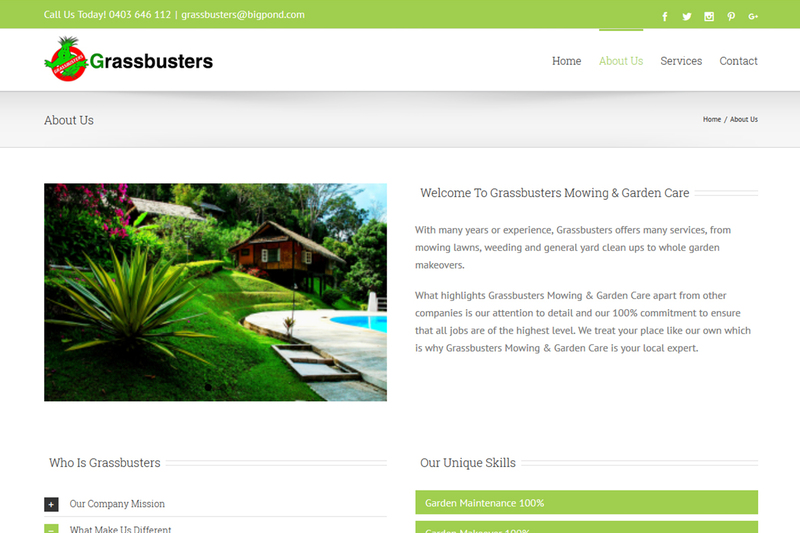 We were hand over a task of designing a website for Grassbusters to increase the brand awareness and enter into local market.Including online registration form with modern features, this website is more users friendly to navigate through. This website design contains lots of information and it has been clearly organised to promote the business. 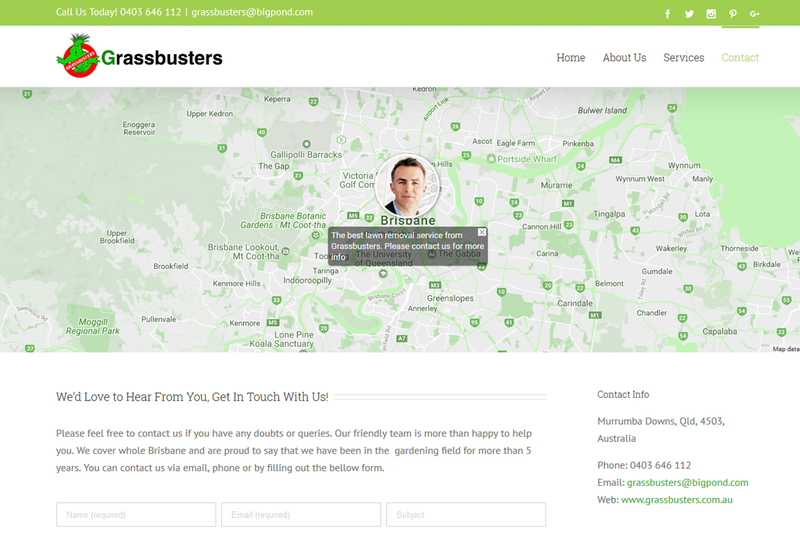 Under our affordable website design package, Grassbusters.com.au received free domain, free hosting and email. We have used latest web design features and technology to enrich the quality of the website. Onsite SEO was carried out for the ranking in Google. We could enhance customer relationships through this website. With in limited time frame, My Cheap Web designers Vancouver managed to develop the website before the dead line including all the web features and functions. 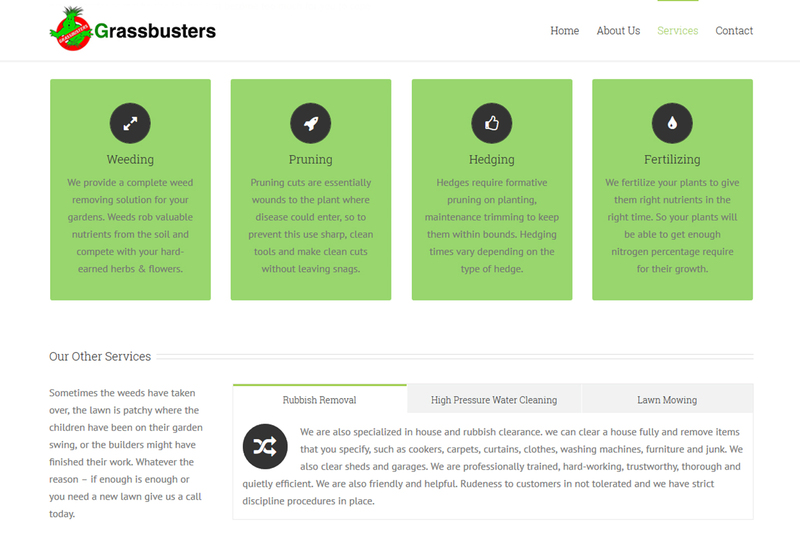 Finally, the responsive web design for all mobile devices was launched to promote Grassbusters business worldwide. Website layout could create significant amount of traffic to increase profit. 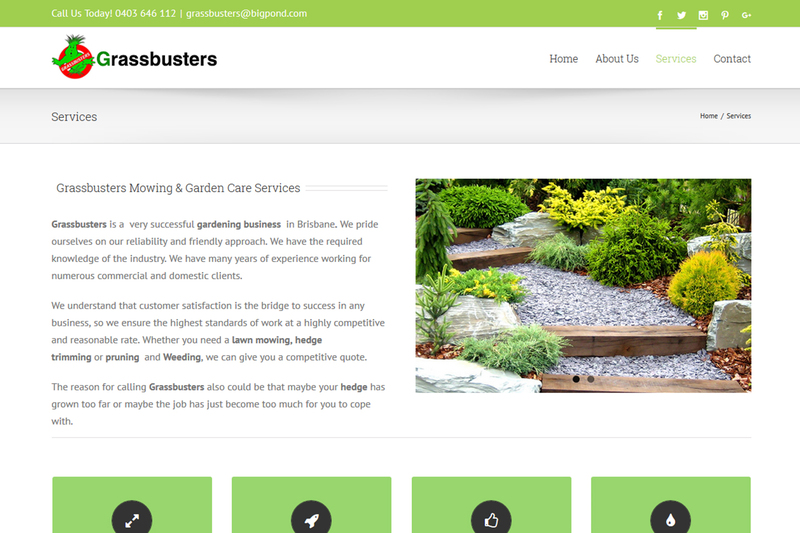 To Design a Website Like Grassbusters at affordable price for your business. Contact us today.